Believe it or not, 2017 is the first year that one of the biggest pet trade shows, Global Pet Expo, has completely sold out. Although there seems to be much speculation among manufacturers as to the benefits of attending this pet industry event, it didn't stop many from showing up ready to sell, buy, and identify trends in Orlando last week. Last week, we estimated some of the biggest pet industry trends we expected to see at the trade show. The forecast included trends like the on-going boost of natural & grain-free pet foods, functional pet treats, cat leashes & pet strollers, an uptick in flea & tick products (pun intended), and innovation in the small animal category. While many of these trends were confirmed at the show, others went more in-depth than anticipated and even a couple that were surprising to see. 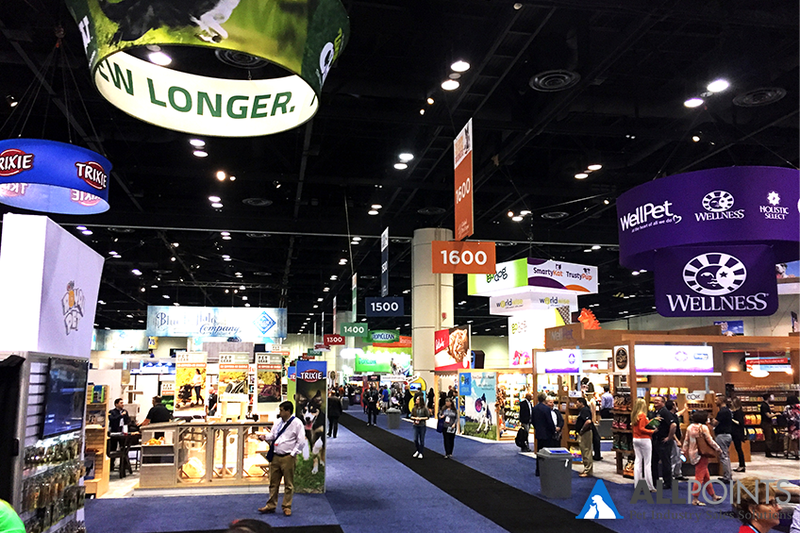 While there are many opportunities to identify top pet industry trends throughout the year, there's no doubt that events like Global Pet Expo and SuperZoo are two of the best places to observe these in person. 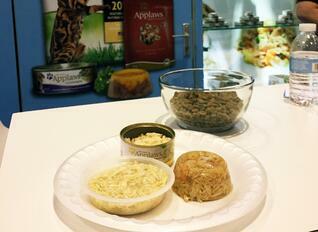 With natural pet food currently dominating 70% of the pet food market, there was certainly a lot of it at the show. Not only was the food natural, but it was also largely grain free (as it's becoming difficult to find one without the other these days). As pet parents demand higher quality diets for their furry friends, pet food manufacturers are finding they have little choice but to comply - even if some of these demands are unwarranted. Another hot-topic in pet food likely stems from growing concerns over pet obesity. Walking around the show, we identified multiple mentions of "healthy" and "organic" food - keywords that are popular among those looking for high quality food for pets. Interestingly, there were many mentions including "premium nutrition," "super premium," "vitamin rich," and "holistic" - all of which cater to a mid-upper class pet owner looking to give their pet the best possible diet. Let's take a moment here, while we're discussing interesting pet food trends, to point out the fact that we saw multiple mentions of "real food" on pet food packaging. While this may refer to the types of ingredients used (high quality cuts of meat versus the entrails), it isn't directly specified. This seems to be a classic case of generalized marketing. Of course the term "real food" might look good at first glance, even though it may or may not actually really mean anything other than it's not plastic. Moving on - There was a lot of freeze-dried everything. Whether it's cat food or dog treats, it seems that freeze-dried is the new black. The popularity of this trend likely stems from the longer-established trend of simple and limited ingredients, and takes it a step further by altering the form of the food itself. Not only do consumers want their pets to eat healthy and "real" food, but they're also asking manufacturers to be more sustainable in the way they produce their products. This doesn't only apply to the pet food world, but as dog food is dominating the pet industry, it's a key note to mention here. At the show, we noted many products promoting sustainable practices on their packaging and around their booth. It's great to see the pet industry increasing their environmental friendliness and it's sure to be noted by pet parents as they shop in your pet store. Those three words are ever-popular in essentially every industry, including pet. There's no doubt that "Made in USA" not only instills feelings of patriotism, but also acts as a sort of code for "safely produced under USDA standards!" In fact, some manufacturers have even gone as far as to label their products as "safely made in USA," adding the qualifier that is often implied in many cases. 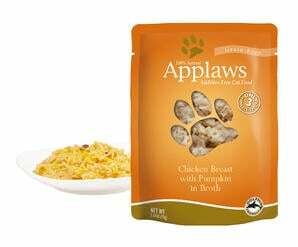 Related Article: "Made in USA" - What Does it Mean for Pet Food? In our original forecast of pet product trends to see at Global Pet Expo, we expected to see a push in cat leashes and harnesses as well as strollers for pets. While we didn't particularly see as many leashes as we had anticipated (or maybe we just missed that part of the show - it was quite large! ), there were certainly strollers - and lots of them. As owners are treating their furry friends more and more like family, it's clear why these cute products are becoming so popular. Coupled with the rising popularity of small dogs, the humanization of pets is certainly a driver of the growth of products like these strollers. 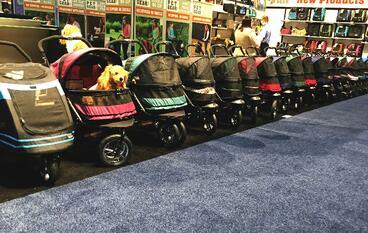 Who knows - maybe we'll start to see all the dogs at SuperZoo pushed around only in these strollers? As millennials take over as the largest pet-owning generation, eco-friendly and sustainably produced products will also begin to dominate the market - and this was certainly prevalent at Global Pet Expo. Millennials are a generation who cares not only what's in their pet's food, but also how it's being produced. A great way to attract them to your store, or get them to buy a particular pet product, is to promote any eco-friendly and sustainable practices - something that is already seemingly done on a lot of packaging as evident at the pet trade show. Pet technology is the future of this industry - and there was plenty of it at Global. Consumers can track nearly everything about their pets these days and are able to interact with them in more ways than ever. Traveling on a business trip? No problem - just have a web chat with your pet, and even feed them treats with the click of a button. Although we aren't highlighting any particular products in this article, there was one that really stood out in the New Product Showcase at Global Pet Expo. The Obe ProBowl monitors the pet's eating and drinking habits, and lets the owner know if anything is out of the ordinary. This allows them to quickly take any necessary actions (such as taking the pet to the vet). The bowl will even place an order of pet food for you on Amazon, proving even further the threat (or opportunity) of e-commerce on the pet industry. In our pre-show forecast, we explained that flea and ticks are on the rise in the United States, and along with that comes the rise of products to help take care of them. Not only were a lot of flea and tick meds (and other animal health products) at the show, but it also appears that the trend of going all-natural has affected this category as well. "What's in there? Oh, I see now - it's some heart-shaped pet treats." This is likely what you'll start hearing in pet store aisles, if you aren't already, as pet owners browse shelves to find the high quality products they are looking for. As pet food & treat manufacturers produce higher quality products, they want to show them off to pet owners who are looking for something that even looks tasty. What better way to do that than by adding a simple window to the bag or box containing the goods? Gloss packaging, while still popular, seems to be on the outs as matte packaging makes its way into pet product manufacturer's warehouses. Matte packaging has become nearly synonymous with natural products, both in the human and pet industries. Boxes are becoming their original state of brown cardboard (or, even better, recycled paper) and bags are becoming a less-glossy version of themselves. If gloss is present, it's likely a spot gloss (which usually comes with a higher printing cost) and is used for the brand's logo and/or a photo of the product/ingredients. What's the point in giving your pet a treat without it doing something for their health at the same time? Treats that serve a double-whammy (part treat, part health benefit) are certainly on the rise and had their place all over the show floor. All sorts of benefits range from boosting dental health, offering probiotics or prebiotics, giving them a healthy coat, and more. Now that we understand what the current trends are in the pet industry, how can you apply them to your store's strategy? Knowing what's happening in the industry is only half the battle - the other half is making them work for your business. To get a few ideas, take a look at our guide to making pet food trends work for your pet store. Want to go more in-depth with what's happening in the pet industry? Download our free eBook on top pet food trends below. We did a live video tour of both Advantek's and Applaws' booths at the show. Check them out! Download our app and keep in touch with us, no matter where you are! Ashley Hoffman – E-Commerce & Digital Marketing Manager joined the All Points family in April of 2015. Ashley brings a fresh outlook to the marketing industry as well as a constant desire for learning something new. She is dedicated to consistently improving her skills and efficiency in the marketing industry and using those skills to promote APM and all brands we represent. Ashley has grown up with many animals throughout her life and is currently the loving owner of two cats.